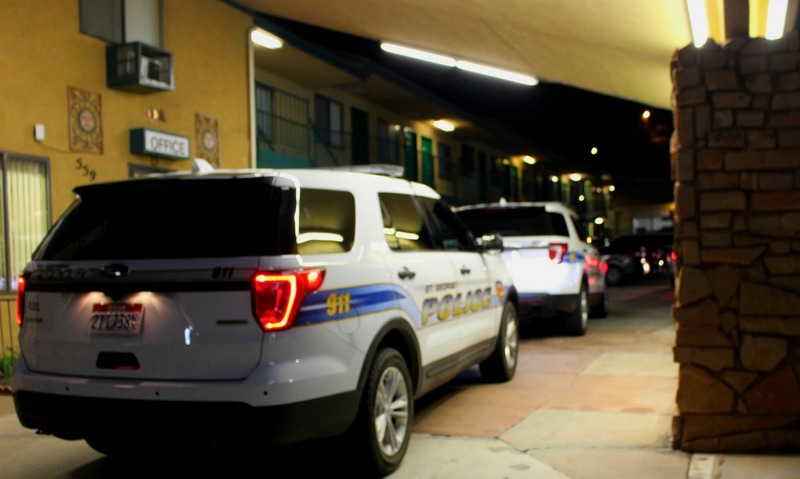 ST. GEORGE — A man was transported to the hospital after he was allegedly stabbed during an altercation at a motel in St. George Friday night. Sometime after 10 p.m. the St. George Communications Center began receiving calls from multiple individuals reporting that a man had been stabbed and was bleeding at a motel on St. George Boulevard. Police officers and emergency medical personnel responded to the Coronada Inn located at 559 E. St. George Boulevard and located the man who had suffered a stab wound to the stomach, St. George Police Officer Lona Trombley said. 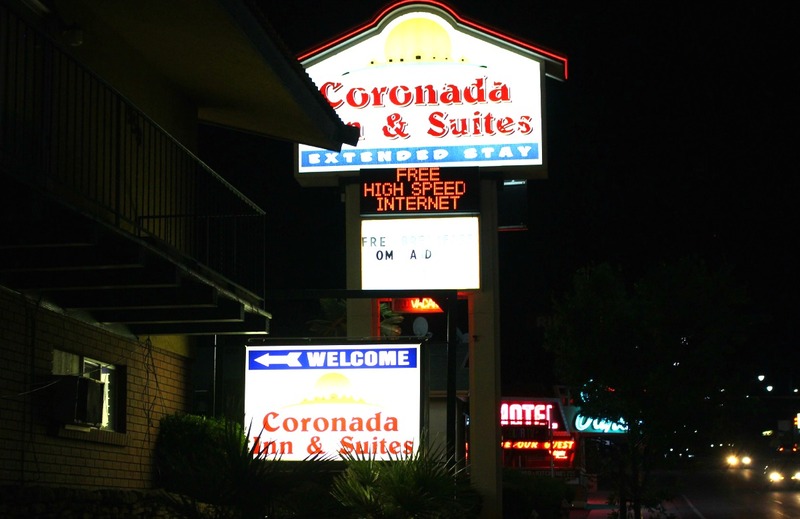 During the investigation, officers learned that the man was stabbed next door at the Economy Inn during a confrontation with an unidentified man earlier and ended up at the Coronada Inn where police later found him. The Economy Inn is located at 525 E. St. George Boulevard, next door to the Coronada Inn. According to witnesses at the scene, the man walked to the Coronada Inn for help. The man was a guest there previously and had made friends during his stay and was going to see if he could get someone to help him. Meanwhile, several bystanders observed the man and noticed he was bleeding as he walked through the parking lot of the motel, the witness said. They called 911 for help. The injured man refused to provide officers with the name of the individual who allegedly stabbed him during the altercation at the Economy Inn earlier and was unwilling to cooperate with the investigation, the officer said. “He chose not to be a victim,” Trombley said. The man was transported to Dixie Regional Medical Center for evaluation and treatment. No additional information was available at the time of this report. According to the Utah Crime Index, in 2015, the most recent data available, more than 94,000 crimes were reported in Utah, an 8 percent increase over 2014. Additionally, there were 54 homicides and more than 116,700 arrests. In Washington County, 1,074 assaults were reported, along with 129 aggravated assaults. Of those, 623 were reported in St. George, along with 79 of the aggravated assaults. If Washington County doesn’t wake up, and SONN, we will be over run with the trash from these Hurricane States with CRIMINALS! Crime rate in Utah is on the rise! You want to be the next Chicago???? Wise up! I didnt read that they were from the Hurrican states!!! Unless I read the wrong article!!! Crime in Utah has been on the rise, and it isn’t from the victims from those Hurrane States as you put it!!! It come from the families that are moving here from CA, NV, and other states that want to get a way the crime that is so bad. But they dont realize that their kids as part of the problem too. So their kids find the kids here and then there you have it!!! Those kids get together and cause their trouble. Or you have the adults that just move here to have the church help them as long as they can get help and they commit crime and on Sunday they are holier than thou!!! But the church will help them and forgive them, until they one day excomunnicate them, then they just have crime to fall on… But thats my oppinion… Crime comes from all over and from within!! !